Haigood & Campbell has been serving the bulk oil and lubricant needs of Weatherford TX since our humble beginnings in 1947. You don't stay in business for that long without understanding your customer's needs and doing everything you can to ensure their complete satisfaction with your services. We recognize that all Weatherford oil and lubricant distributors source their product from the same refineries. The only difference is in how much we purchase - whereas some distributors only deliver pallets of cases or bulk transport loads, our team can break down bulk loads into buckets, drums, or totes to suit your situation. 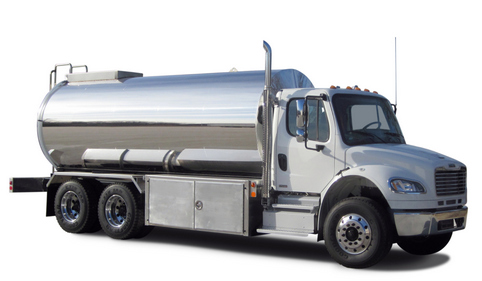 Since our oil is the same as all of our competitors, there is only one promise that can separate us from our competitors---Our Service Promise---to provide consistently reliable oil and lubricant deliveries at fair prices. This is not an empty promise. You can see it for yourself online as we are the highest rated Weatherford oil and lubricant distributor. We carry one of the most extensive oil and lubricant selections in Weatherford that serves virtually every commercial, industrial and agricultural application. In addition to delivering high quality oils and lubricants, we also provide the Click on one of the links below to learn more about our products and services, or call us today and we'll get your questions answered. Your call is answered by a live person 24 hours a day. What ensures that we stay the top rated Weatherford oil distributor? Whether you need a specialty oil dropshipped to your location or require a specific tote or drum specification for your facilities utilization, check with our lubricant specialists for your custom solution. Haigood & Campbell has the resources and experience to deliver solutions for every facet of your fuel and lubricant consumption. Perhaps you need a new fuel tank, oil pump, or lubester. Or perhaps you need a temporary fuel tank on a job site. Or perhaps have have oils or fuel that has been sitting in equipment for years you need to clean everything for a reliable startup. You are an expert at your business and we are Weatherford oil and lubricant experts, so let our knowledge be of service. Now in its second generation as a family-owned business, Haigood & Campbell is still operated on a daily basis by the owner, Ward Campbell. Ward’s father started the business after returning from World War II and Ward has been in the business his entire life. As an owner-operator, he is absolutely committed to the satisfaction of every Weatherford customer ensuring this legacy that has been built over seven decades.